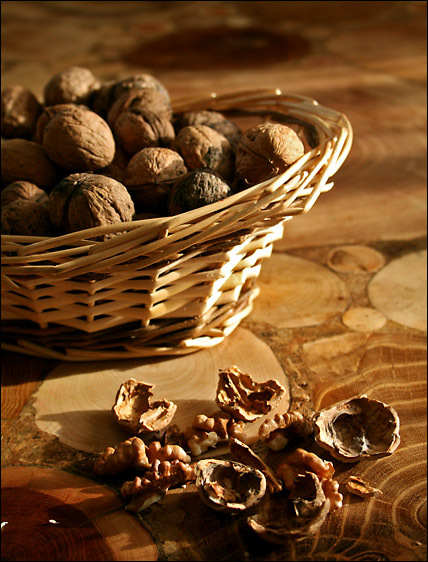 The walnuts capured on the kitchen table. This table is something special because it is home-made, my grandfather has made it. I keep on looking at that table (??) it looks very nice! the basket is a bit too light on the side. warm and heartening and lovely. Proudly hosted by Sargasso Networks. Current Server Time: 04/24/2019 08:12:29 AM EDT.